From my own knowledge of Paris I would venture to say that most people think of the Louvre and Musée D’Orsay first on their list of museums to visit. 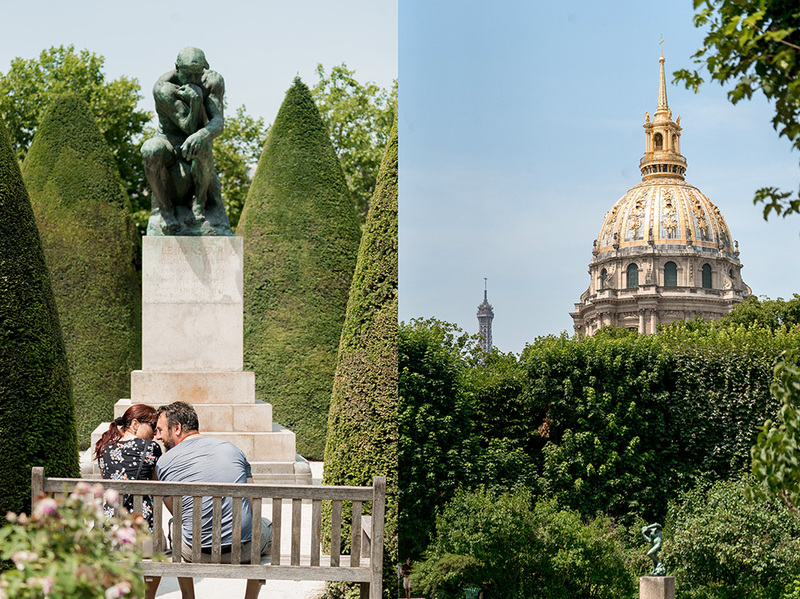 I don’t disagree with tourists wanting to visit these two, but if you are looking for a smaller scale, yet wonderful museum experience, I’d certainly add Musée Rodin to your list. I recall visiting this museum as a child, but the only reason I remember it was because my parents purchased a souvenir sculpture of The Thinker that sat on our entertainment center for years. It was nice to go back and appreciate the museum as an adult. 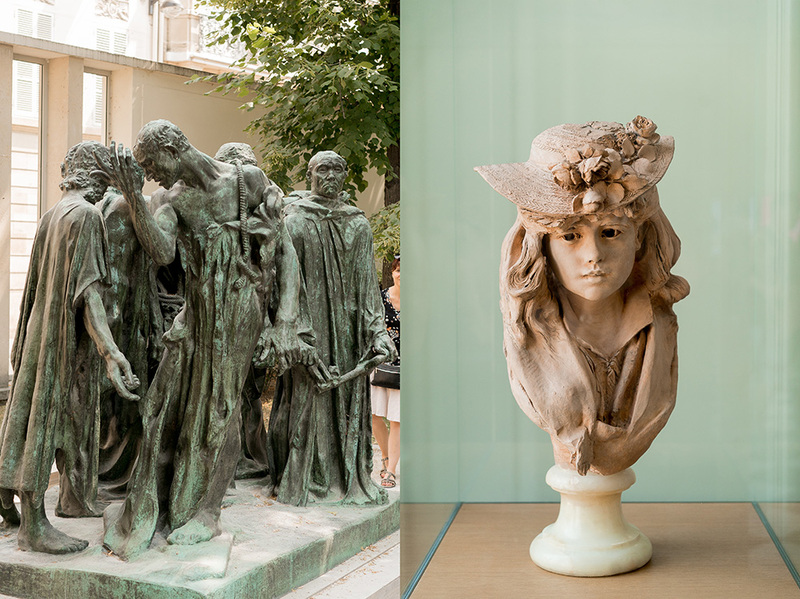 The museum is largely dedicated to the works of French sculptor Auguste Rodin. When you see the vast number of sculptures he produced during his lifetime you can assume he did not have much idle time! He’s largely famous for The Thinker, The Kiss, and The Gates of Hell. The Gates of Hell are located outside the museum in the gardens to the left of the house. It’s a very intricate sculpture that takes a few minutes (or more) to best be appreciated. It’s also a bit creepy too, so I found myself wandering taking more photos while our friends studied it longer. Admission to the museum is extremely reasonable. It’s approximately 11€ per person. They do offer a separate ticket for the gardens only as well. And they also have a dual museum pass that allows you to go to Musée D’Orsay on another day if that is on your itinerary as well. The entrance building where you buy tickets is air conditioned. The exhibits rotate out in that area from time to time. The house however, is not air conditioned. We were there on a pretty warm day, so be prepared for it to be stuffy if you visit on a hot day. Once you’ve wrapped up with your tour of the house, the gardens are pretty expansive offering more larger than life sized sculptures. There’s also an area with food in the back garden if you need to break for lunch or rest your feet. I still need to visit some of the other smaller museums in Paris, but currently, this one ranks pretty high. Below is a brief glimpse into some of my favorite parts. I didn’t realize it at the time, but the sculpture of the hands is called The Cathedral. This one in particular moved me and was my favorite of the day. Enjoy! 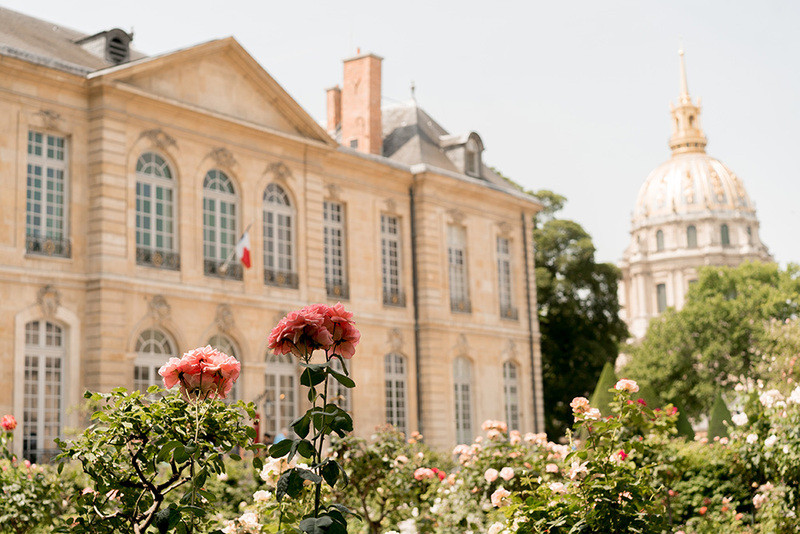 Paris has so many beautiful green spaces to choose from within the city with Jardin du Luxembourg being one of the most infamous ones. It is situated between St. Germain de Prés and the Latin Quarter. You can find many locals and families hanging out here. Jardin du Luxembourg is quite large with many areas to explore. We recently visited and we were overwhelmed by everything it had to offer. We’ve only posted a sneak peek here of some of our favorite images from that day, but honestly, we want to go back and take even more photos to share. We were immediately welcomed by a classical concert in the grandstand when we first entered the garden. We had made a pit stop at De Clercq, the King of Frites, up the hill by the Pantheon and brought the food to the park with us. We found a bench near the music and enjoyed the amazing frites from De Clercq. Then we wandered over to an area that would allow us to sit on the banister and enjoy the main fountain. The live music was still lingering and creating a relaxing yet energetic atmosphere. When the music ended we ventured off in search of the Medici Fountain. It was lovely and calming. I could certainly picture pulling up a chair and reading a book in that area. From that area we went closer to the fountain and watched the kids playing with the wooden sail boats in the fountain. And after that was when I think we slowed down on photos and simply took in all the other pockets of the park. There were a couple of food stands, an incredible playground for kids, a puppet theatre, horses, pétanque games in progress, chess games, card games, tennis, basketball, birthday parties in a side garden. I’m sure I’m forgetting something! Which means we’ll have to go back and enjoy it again. For now, I hope you enjoy the sneak peek. I do love the first image below. The statue is representing an actor, but when we first saw it at a glance, it looked like he was taking a selfie of himself. 🙂 I also adore the photo of the couple relaxing and holding hands. We should all make it a point to take time out for the simple moments. Caitlin Edwards - Luxembourg Gardens are my favourite sight to see in beautiful Paris. Everyone is always so happy to be out in the sunshine amongst the grandeur of the gardens. Definitely one of my happy places on this Earth! Chelsea & Bryan were one of the first mini-sessions we photographed this past summer as Stacy was showing us how to capture things in the L’amour de Paris way. 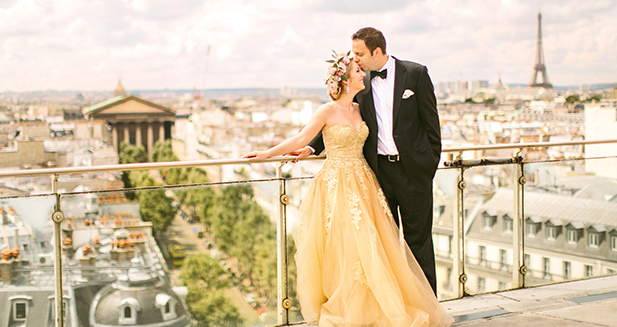 They were the sweetest, most down to earth couple and we think their Paris portraits at the Eiffel Tower really show their sweet personalities! If you’re planning a trip to Paris, don’t forget to contact us to schedule your portrait session! It’s always such a compliment when other photographers look to us to capture their Paris portrait session, and Kristin and Aric were the sweetest couple! It was beautiful day full of sunshine in Paris as we started the morning off at Pont Bir Hakeim. We finished up their Paris photos by wandering all around the courtyard and corridors of the Louvre.